Toronto First Aid is the largest, most popular and experienced provider of academic and Ontario WSIB approved first aid and / or CPR certification courses in Toronto, Ontario. Learn to recognize and manage medical emergencies and injuries such as heart attacks, angina, stroke, open fractures, concussions, cardiac arrest, deadly bleeding, spinals, poisonings, seizures, hypothermia, heat stroke and more when you enrol in standard first aid and CPR. A number of stand-alone CPR and life support certification courses are available including CPR for health care providers, CPR for lay rescuers, basic life support and advanced cardiac life support for individuals that work in intensive care units. Workplace safety and food handling classes are also available. Classes are conveniently located, clean and taught with experienced and professional instructors. Course prices are the lowest in the city. Private classes and a number of first aid services are also available. Check out the Toronto First Aid website to register for a training course or for additional information on offered classes and schedules. On-line registration is available. Customer service specialists are knowledgeable and able to answer questions and help with registration from 8 am to 7 pm Monday through Sunday. A number of CPR courses are available including basic life support, CPR level ‘A’, ‘C’ and health care provider CPR. Participants that have current awards and meet prerequisites may attend re-certification courses which are available multiple times per week. This provider understands that life happens and plans change. Customers can request refunds or transfer to another cost at no extra cost as long as the request is done prior to 72 hours of the course. Training classes are St Mark James certification courses. Trainees who are able to complete a training course receive a St Mark James certificate for first aid, CPR, and AED training, valid for three years throughout Canada. Trainees with near-expiry certificates can renew them through refresher courses offered at least twice a week at Toronto First Aid. 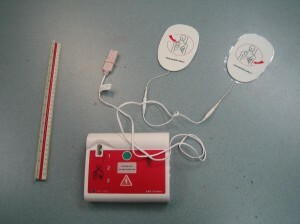 AED trainer used in CPR and AED training courses. Private classes are available for big groups and companies. Private courses are available for a number of programs. 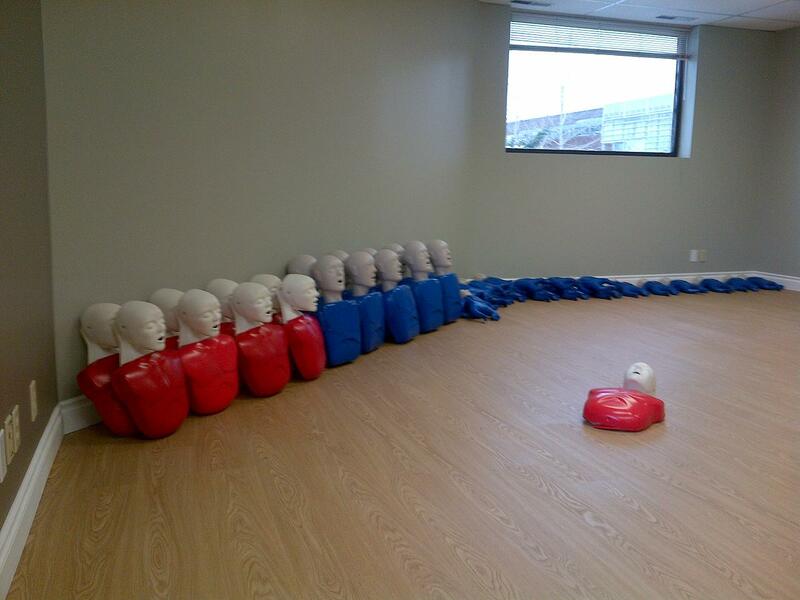 Private classes can be held at the Toronto First Aid training centre or an experienced instructor can come to your facility on your schedule. To find the course(s) that is right for you use the contact information available above. Knowledgeable staff can help get you certified for your work requirements.